Last night we were playing with the kids and Ele jumped up and started rummaging around. 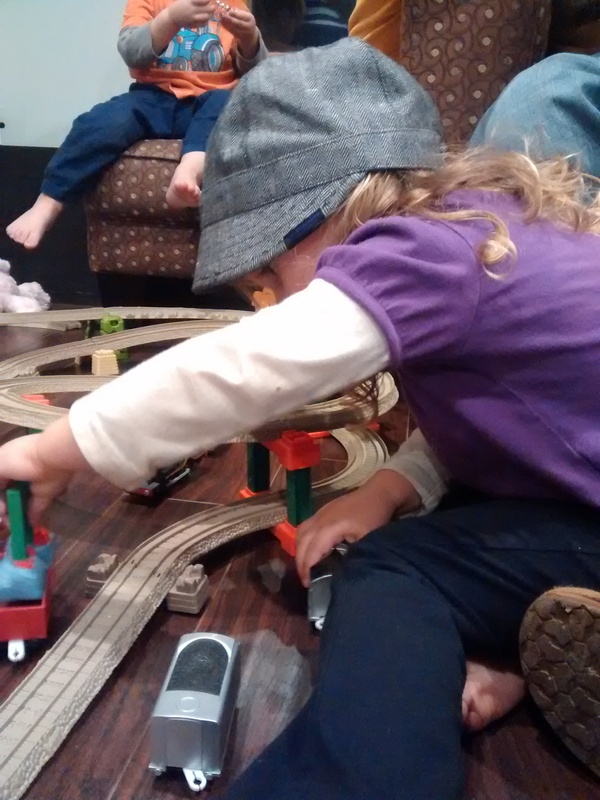 When I asked her what she was looking for, she said a train hat. One of my hats was as close as we could find.